I will be using standard USPS mailing. Orders can take between 1-4 weeks before delivery (depending upon where product is being shipped: local/domestic/international). If you have not received your product within this time period please contact: orders@vidakillz.com with any questions. Please include what you ordered, when you ordered it and contact information. We want you to be completely satisfied with your purchase. However, since we try to turnaround your order in a timely manner, it might be difficult to catch the changes before your items are shipped. 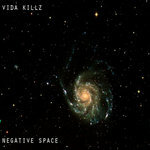 If you have a change, please contact orders@vidakillz.com, and we’ll see if we can help. If your order has already shipped, we’ll send you instructions on how to return it.